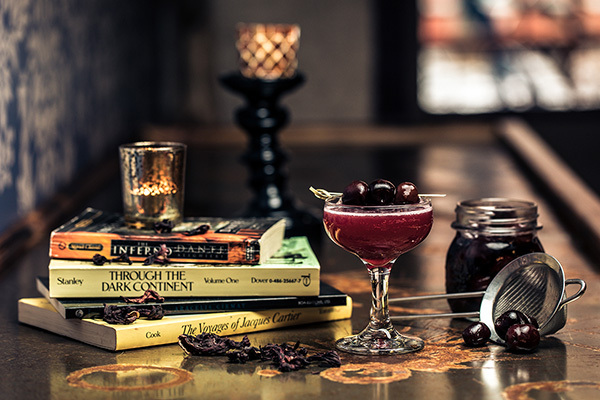 Handcrafted cocktails, comfort food, and no pretension. Imagine Nox as a coffee shop with booze. Better yet, think of it as that friend’s house where—before you even thought the word “career”—everyone got together to hang. Informal, a cozy joint, like that friend exported his living room to a location outside of his house. Sometimes just the core of your crew; often there were new people,too—another friend to make, an acquaintance who might point you toward your next job, the friend of a friend who raised your eyebrows and prompted you to tell your host, “Introduce me, please.” Just like that, with better food & drinks. Our menu provides the sort of meals you might get if you hit up mom’s on Sunday, but each one with a twist—like when you were a kid, staying for dinner at a friend’s place, and you found out that his mom made casserole with a thick layer of onion crunchies on top. Our cocktails are literally singular. An extensive process of throwing things at the wall to see what stuck, so to speak, allowed us to discover outrageously unlikely but delicious combos: sometimes with ingredients that shouldn’t even be in the same sentence, much less the same glass—in such a way that is not only not abominable, but delicious. Tavern style: help yourself to a spot at the bar, the couches, or at a table and someone will be over as soon as possible. Or come up to the bartender and let them know what you need to settle in for the night. So come on in. Chat & chill. Handcrafted cocktails, comfort food, no pretense.